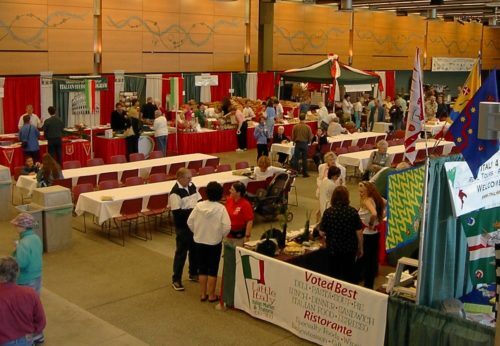 When you plan your Festa weekend, be sure to take a look at our exhibitors and vendor booths. We’ve been fortunate over the years to attract a wide variety of participants that will likely have something of interest for everyone in your group. Most vendor booths are in the Fisher Pavilion, but you’ll find others in and around other Festa activities. Saturday and Sunday, 10AM- 6PM. Note that on Saturday night some vendors will be open until the music stops at 9:00pm. If you’re interested in having a booth at the Festa Italiana weekend celebrations please contact us.